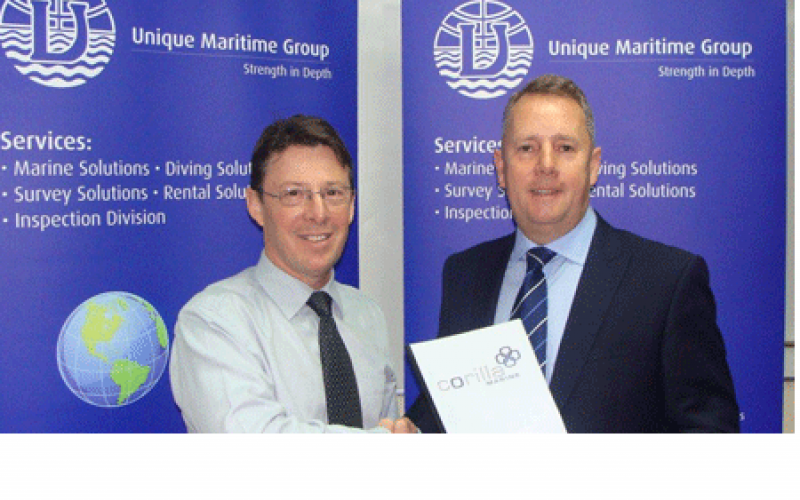 Unique Maritime Group, one of the world’s leading integrated turnkey subsea and offshore solution providers has been appointed as the exclusive Sales and Service distributor for Corilla Marine Products for the UAE, South Africa and India region. Corilla Plastics is a leading UK name in rotational moulding with prime focus on translating customer designs and requirements into production, efficiently and competitively. They are at the forefront of the innovative technology that is seeing the replacement of metal navigation buoys by plastic. Ian Huggins, General Manager of Unique System FZE commented “We are continually on the lookout for new products to expand our inventory and complement our existing portfolio. This product range allows us to extend our current offering to our customers.” “Corilla has a long history of buoy design and manufacturing and are IALA compliant too. We particularly like the modular design concept which allows the end user to future proof their purchase and extend the life cycle of those assets” he added. Shaun Champion, Sales & Commercial Director of Corilla Plastics said “Our company is leading the developmental design and manufacturing techniques that are supplying the next generation of permanent navigational buoys. Plastic buoys do not rust, do not require painting and can be easily jet cleaned at sea and returned into position, reducing the dependence on expensive buoy maintenance yards and sand-blasting operations.” “Unique Maritime Group’s strong geographical presence and vast experience will surely justify the successful sales of our marine buoys (both navigation & data buoys).” “We will also train the engineers of UMG to provide and maintain the same standard of service levels as provided by Corilla directly” he added.